The Canadian Highway Bridge Design Code (S6-14, 2014) considers a service life of 75 years for newly constructed bridge. What does this mean in engineering terms? It means that the bridges of the future should have satisfactory performance, both durability and structural, during the proposed life-cycle. This can be quite challenging when we look closely; the environment and environmental loading (i.e. snow, freeze and thaw cycles, corrosion, earthquakes, etc.) can change, the traffic can change dramatically, some unknown damage mechanisms can be detected, etc. To achieve such service life, a carefully reviewed design and detailing is required. This should be followed by high quality construction work. Finally, a systematic maintenance plan (as part of asset management) should exist to ensure that the performance objectives are met at all times. 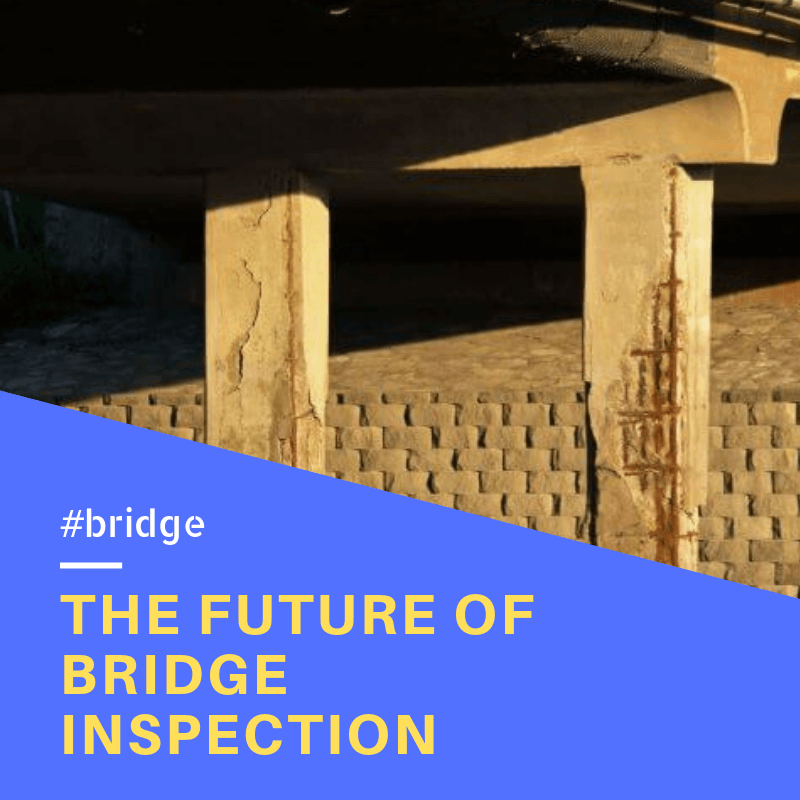 so what does the future of bridge inspection look like? In Canada, routine maintenance is and should be a top priority. Harsh winter condition is a huge challenge in meeting the requirements of 75 years life span. This clearly shows the importance of a well-planned maintenance work. The maintenance plan should be implemented at the very beginning, when, for example, the bridge opens up to traffic and public uses. A maintenance plan includes both the routine and comprehensive inspections. When symptoms of a damage mechanism are observed during the routine and comprehensive inspections, an immediate and in-depth inspection (damage inspection) is scheduled in order to further evaluate the source, amount, effect, and future potential of the damage mechanism. For example, the Ontario Structure Inspection Manual (OSIM, 2008) requires that all bridges and culverts of 3 meters or greater shall be inspected through a detailed visual inspection. The OSIM or PWGSC Bridge Inspection Manual (BMI) presents the requirement and procedure of a detail visual inspection for concrete structures, specifically Bridge structures. Regardless of inspection type, an element-by-element close up visual evaluation and examination (visual inspection) is strongly recommended at the very first stage of the inspection. This is recommended because most of abnormalities due to a damage mechanism have apparent and visual signs. Moreover, the visual inspection can help to figure out the test plan needed for an inspection project. 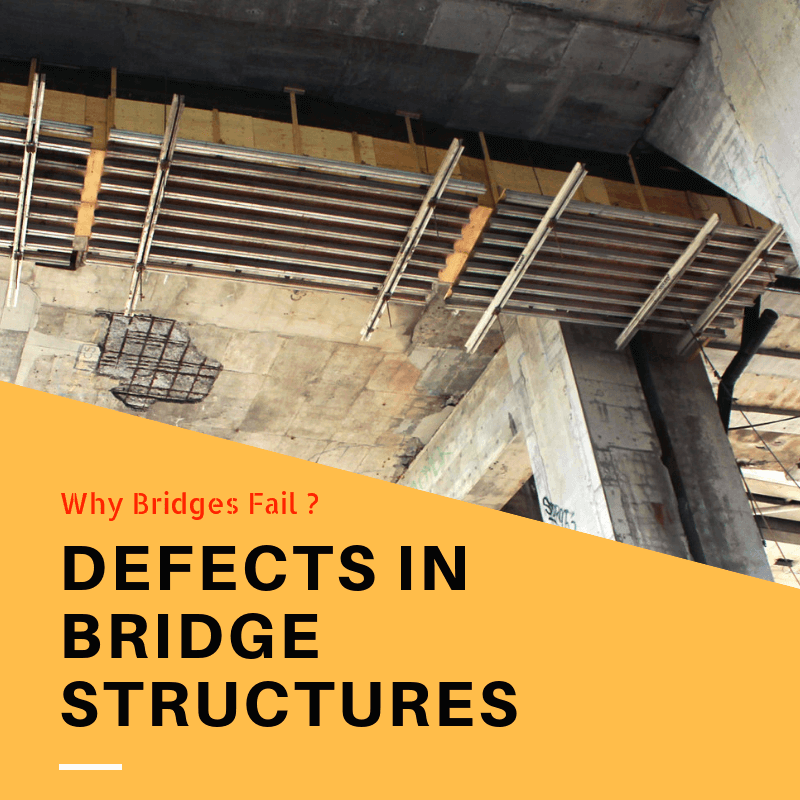 Visual inspections, however, can be inadequate for detecting early damages in concrete bridges. Normally, signs of damages occur only when it is really late. For example, ASR cracks may happen after 20-30 years of construction. Corrosion induced cracks can only become visible when it is already too late. NDT methods can be helpful in detecting damage mechanism at early stages, when no apparent sign is observed. The early detection of damages minimizes the cost of maintenance work. 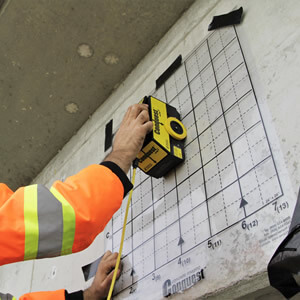 More important is that the condition assessment of concrete structures by NDT methods are not only limited to those types of degradation that have apparent signs at the surface. NDT methods can be used in routine inspection projects; they can be used to follow up the state of damages in periodical checks. The other advantage of NDT methods is that they can be performed by minimum intervention to the structure. This helps prevent aggravating the problems in already damaged structure. NDT methods can be used to assess the condition of elements that do not have easy access. One example is the deep foundations or mass concrete structures. Different NDT methods can be used to detect different damage mechanism. For example, a group of acoustic methods can be used to detect cracks and delamination in concrete. Radar techniques can be used to detect voids, location of rebar, etc. The important question is how to select the best NDT techniques for a specific project. The relevant NDT method is selected based on the project goals and objectives. In other words, the best NDT method for a damage mechanism is subjected to type, nature and origin of the damage mechanism. For instance, electrochemical methods are more applicable for quantifying the real time corrosion rate and future corrosion potential of steel rebar, while the acoustic methods are mostly fit to evaluate the corrosion side effects such as extent of cracks and delaminated areas due to corrosion of steel rebar. The deployment of smart structural health monitoring solutions has already started to shape the future of bridge inspection. Internet of Things, smart sensors, and wireless connectivity have made these systems cost-effective, and easy to implement. The SHM systems can provide real-time data about different aspect of structural properties, changes in the environment, and help maintenance managers with data driven decision making tools. Development of Micro-Electro-Mechanical Systems (MEMS), along with modern wireless communication platforms such as Bluetooth 5 and 5G will pave the pave for more practical SHM solutions. Data analysis is far easier than before with the help of cloud computing and big data, which would help translate the large poll of data into decision making tools for engineers and owners. This entry was posted in Bridge, Inspection and Evaluation, NDT, Structural Health Monitroing and tagged Bridge, Corrosion, Inspection, NDT, testing. Bookmark the permalink. ← How to Test Concrete Using Impact-Echo Method?